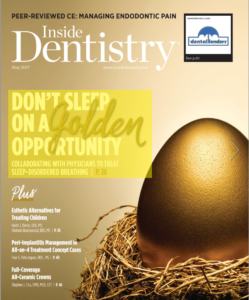 As opinion leaders in the field of dentistry, True Def Doctors John Weston, DDS and Chad C. Duplantis, DDS were recently interviewed by Inside Dentistry and Compendium magazines, respectively. The articles explore the development and implementation of advanced dental technology like the 3M™ True Definition Scanner. In “Optimizing Digital Technology,” Dr. Weston discusses the optimal way to incorporate digital impressions, digital smile design, and 3D radiography into complex multi-modality cosmetic and restorative procedures. 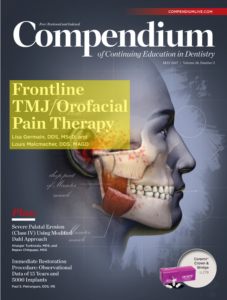 For his piece in Compendium, Dr. Duplantis was asked “What barriers remain to incorporate digital chairside dentistry, and what is needed to remove those barriers for more adoption?” He indicates that the initial investment is often considered the most challenging aspect for dentists looking to enhance their practices, and he provides suggestions to overcome common obstacles and misperceptions. We invite you to review the articles in full. Please reach out to our team with any questions you may have about digital technology.